About Us | J.J. McLellan & Son "
We Are The Home Comfort People*? Who Service What We Sell! 65 years and through 4 generations! 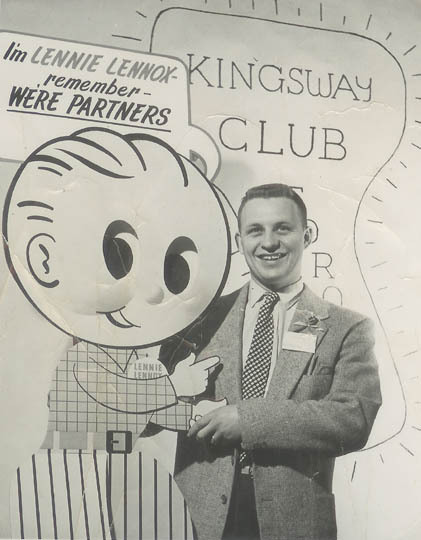 In 1948 Hap took over the “McLellan Plumbing” business from his father Ross at the age of 17. He later in 1959 incorporated the business as JJ McLellan & Son Ltd., naming the business after his grandfather, John J. McLellan. In 1966, JJ McLellan & Son adopted their slogan, “The Home Comfort People”. JJ McLellan & Son became a member of the Union Gas Dealer Association in the 1960’s. This affiliation provided increased product and service offerings to JJ customers. Jamie McLellan, Hap & Mary’s son, started working in the plumbing and heating business in 1971 and eventually assumed the lead in 1990. In 1993, Jamie became the president of JJ McLellan & Son operated by Hap McLellan Ltd. Today JJ McLellan & Son’s business of mechanical contracting includes the full breadth of plumbing and heating sales, service and both residential and commercial installations. The company has been an independent Lennox dealer for over 45 years and a member of the Union Gas Heating Dealer Organization for over 35 years. As a Dave Lennox Premier Dealer™ we deliver quality parts and service for your home heating, cooling and indoor air quality needs. As a TSSA (Technical Standards and Safety Authority) Quality Assessed Contractor we are dedicated to better quality safety practices. JJ McLellan and son has also been a member of the CFIB (Canadian Federation of Independent Business for over 25 years, the CFIB is the nationally recognized voice of small business. JJ McLellan & Son is a longstanding member of the Ontario Water Well Association as well as being a Registered Grudfos Dealer and Goulds Professional Dealer. As the Home Comfort People we want to ensure our customers have peace of mind with their equipment and costs. We offer SNAP Financing for many of our home comfort services including Installations for Furnaces, Air Conditioners, Hot Water Heaters, Fireplaces etc! We also offer a warranty package for coverage up to 10 years parts and labour for a very low – one time only – cost! Our service technicians are licensed for repair, service or new installation of Plumbing and Heating, including Natural Gas and Propane Fired Appliances, Water Well’s, Electrical, Confined Space Work and Septic Systems Installation and new for the company in 2010 we have added a Vacuum Truck Service for Septic Systems Cleaning etc. Our technicians combined have many years experience in various stages of plumbing, heating and cooling of many options including fireplaces, infloor, geothermal, water furnace, furnaces, boilers, mini-split units. We cover a service area of Mount Forest, Arthur, Harriston, Drayton, Moorefield, Palmerston, Durham, Holstein, Conn and everywhere in between! This third generation family tradition plumbing and heating business continues into the 4th generation with Jamie’s daughters, Pamela McLellan-Zmija and Erin McLellan, and son’s Adam McLellan and Justin McLellan. Hap, Ross and John J. would no doubt be pleased with the operation today, only sorry that they weren’t here to see the results of the seeds they planted years ago. With decades of experience and knowledge between our team we can assist in your small home repair, medium renovation or large home build project!